I'm writing to commend you on your recent column. It's so well thought out that only someone like Steve Jobs could fail to see why a midrange desktop Mac would be a good idea. If he needs solid real world evidence that a well designed and properly positioned 4th desktop would be good for Apple, he needs look no further than the MacBook Air, which by all accounts is not cannibalizing sales of other MacBooks to any great extent. Of course you and I already know there will never be a prosumer desktop Mac as long as His Steveness lives. We can blog from now until the day of his memorial service, promise to buy entire offices full of them, and it won't make a shred of difference because Steve honestly believes he knows what we want better than we do. Traditional desktop computers are larger and draw more electricity than notebook based designs like the iMac, so introducing a new one would go against Apple's current fight to be seen as a green company. After all, there's just no way you can promote multiple internal drives, desktop processors, and SLI or Crossfire support for the top performing video cards without also admitting that it takes a 650W power supply to ensure your customers can safely install two GeForce 9800s. Besides, Steve's disdain for those who merely consume and do not also create is legendary. Gamers are only one step above TV couch potatoes in his worldview, so the likelihood of seeing a Steve approved Apple computer with true gaming appeal is less than zero. Apple believes that desktop computers are dinosaurs just waiting for the asteroid to strike. The world is going mobile, and those of us clinging to our towers will eventually see the light. I'm sure many there believe that someday the definition of desktop computer will be a notebook with a second display and ergonomically placed input device. I'm a typical prosumer: I use my Macs mainly for consumer activities, but I still like to tinker. When I was young and foolish it was board level soldering a new clock crystal into my Mac IIsi, today it's mostly swapping hard drives and other things that don't void warranties. The lack of a midrange tower or desktop keeps me buying used equipment and praying it doesn't fail in a spectacular manner. I think Jobs is still chaffing at the Cube's failure, even though the Cube's even more limited successor (the Mac mini) has been successful enough to remain in the product line for over 3 years now. Were Apple to build a midrange Mac, I'm sure it would be as distinctive and beautiful as anything Apple has ever produced. The green argument could be a good argument for a midrange Mac, and there's no reason many of the components couldn't be low power consuming parts. The green argument is this: Part of the customer base needs more expansion/performance options than the Mac mini offers, but the Mac Pro's power supply draws 171W while idling, up to 250W under demand - and the Xserve is even worse, at 204-300W idling vs. 247-409W while working (range is for 2.8 GHz 4-core and 3.0 GHz 8-core models). By way of comparison, the G5 Xserve was a power miser, drawing 130-190W at idle and up to 170-290W under load, while the Power Mac G5 used 120-140W at idle and could provide 450-600W when necessary. In short, the pro Macintel models are less green than their predecessors! The Mac mini's external power supply sips a mere 23W at idle and provides up to 110W under load, and the current iMac draws up to 200W (20") or 280W (24"). The MacBook and MacBook Pro models get by with an 85W power supply, and the MacBook Air draws just 10W when idling. Apple knows power - and power management. Apple already realizes that desktops will remain important, even if they remain under half of the Mac market, because they provide more power, more drive bays, more room for RAM, support for more and more powerful graphics cards, and support for multiple displays. Need to run two or three matching displays? The Mac mini and MacBook Pro can't do that. Need 8 GB of RAM? The Mac Pro is the only current choice. Need a server with 2-3 fast hard drives and a small energy footprint? Apple doesn't make it. All things considered, the green argument could be the best course to take in promoting a midrange Mac: half the Mac Pro's expandability with half the energy footprint. I have also used "Lid Closed Video Mode" on my Pismo, except I didn't know the feature had a name. I just assumed it would work when I tried it, since it made sense and it's a Mac. I wouldn't be surprised if earlier monitor spanning PowerBooks also had a similar mode with lid closed. Like Eli, I also got 1600 x 1200 at 75 Hz and millions of colors on a 21" CRT. Sunday was the WallStreet's 10th birthday, so we've been throwing it a party. I'll add a note about heat in our Pismo profile. Thanks for the tip. Our home network connects to 8 machines wirelessly - of which only 2 (an eMac and a Wii) officially support 802.11g speeds (the G3 iMac, 2 G3 iBooks, 2 PowerMac G4s, and the Cube all have slots for original AirPort cards), so I'll probably wait until I replace more of the machines before I upgrade to a faster wireless router. For the moment, the WEP encryption of the Graphite ABS is probably okay, since I can pick up 4 unprotected routers from my house (i.e., a war driver has easier choices!). For sharing an Internet connection, printing, music sharing, and light file sharing 802.11b wireless is plenty good enough. With 802.11g you can better security options (WAP, not just the older, more easily hacked WEP) and faster transfer for larger files. 802.11n goes well beyond that, providing a lot more range in addition to even higher speeds. But for light sharing, 802.11b and 10Base-T ethernet is perfectly adequate. I can't talk to Apple's AirPort base stations, as I have always used third-party, but it's definitely a plus to use a WiFi card that works with Apple's drivers. Click once on the locked application icon and Get Info (Cmd-I). If the "locked" box is checked, uncheck it. Now you should be able to Trash the file. If you can put a file or folder in the Trash but can't delete it, hold down the Opt key while emptying the Trash. That works most of the time. Another option is to boot with extensions off (hold down the Shift key during startup), which may let you delete or option-delete files that otherwise won't go. If all that fails, get out your original System CD, erase the hard drive, and install a clean OS for the next person. Thanks for taking the time to respond to my question. The last option sounds like a plan - that way I don't have to worry about overlooking/forgetting to delete anything. Hi Dan, just writing for some advice. I own a Power Mac G4 Digital Audio (533 MHz), which I was running Leopard on until I had two kernel panics that left the machine unbootable. Before that I had upgraded to 1.5 GB of RAM, USB 2.0/FireWire 400 combo card, USB 7 port hub, Keyspan Front Row remote, Zoom USB Bluetooth adapter, and a Radeon 9800 Pro video card. Since then I switched back to Tiger with a Front Row hack installed. Now . . . on to my question. I've been looking into getting a G4 processor upgrade. Is there any reason to get a dual processor? I've heard that software has to have special code written into it just take advantage of it. Would I notice better performance. Would I see better performance from the Newer Technology MAXPower G4/7448 2.0 GHz single or the Sonnet Encore/ST Duet Dual G4/1.8 GHz? Also, I have recently installed Leopard onto a friends iMac G4 1 GHz with 1 GB of RAM. Leopard runs a little stuttery on that machine. What kind of performance can I expect with an upgraded tower? Lastly, I have recently been using video encoded to h.264 680 x 480 for easy use between Front Row and my iPhone. It plays poorly on my setup, my friends iMac, but great on my iPhone and my father's Intel iMac. I've heard h.264 requires a lot of processing power. Would either the processor upgrades I described earlier fix this problem? It would be a shame to have to buy a new Mac to play these files that play flawlessly on my iPhone. BTW, Love the site! I check it out everyday! Keep up the great work! Apple is pretty vague about hardware requirements for H.264, stating: "While H.264 is a computationally advanced codec, it runs on today's shipping computers with no additional hardware required. For example, a full HD movie (1920 x 1080, 8 Mbps, 24 fps) encoded with H.264 plays back beautifully on a dual Power Mac G5." 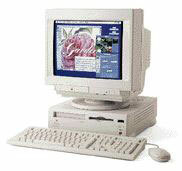 No info on the page when "today" was, but the dual-processor G5s started at 1.8 GHz. As far as dual processors go, it was true back in the era of the Classic Mac OS that only applications specifically written for multiple processors could use more than one CPU. Mac OS X itself and most apps written for Mac OS X are multiprocessor aware, and even if a particular program isn't, OS X will work to balance things by using more of one CPU for that program, more of the other(s) for any multiprocessor aware apps. The NewerTech MAXPower G4 uses a 7448 CPU, which has a 1 GB onboard cache running at the same 2.0 GHz as the CPU. The Sonnet Encore/ST G4 Duet 1.8 GHz uses two 1.8 GHz 7447A CPUs, each of which has a 512 MB onboard cache. I can't find any hard benchmarks, but here's what I'd expect: The 7448 will be about 5% faster on average than a 7447A at the same clock speed. That gives a 2.0 GHz 7448 about a 15% advantage over a single 1.8 GHz 7447A. Our rule of thumb is that dual processors under OS X average in the ballpark of 2/3 more power than one processor, which puts that dual 1.8 GHz 7447A at approximately 167% of single. Overall, the dual 1.8 GHz 7447A should be 40-50% more powerful than the single 2.0 GHz 7448. The 2.0 GHz processor will be faster when booted into Mac OS 9.x and it will run cooler, but I believe the benefit of the second CPU is worth more than a slightly slower CPU with a somewhat smaller cache. Since I upgraded to a new iMac last December, I have two extra hard drives from my previous systems - one being a 250 GB IDE drive from my old Sawtooth and the other a 250 GB SATA drive coming from an old PC. I am in the market for hard drive enclosures so I can put these drives to better use but am getting flustered by the reviews I have been reading for FireWire drives I could connect to my unused FireWire ports (my USB ports are all maxed out and, yes, I know I could use a hub - but all those wires!). I am reading ones from Macally are barely useable and if the case doesn't fall apart, the power brick is poor. I read those from iRocks will not keep the hard drive cool enough. I have also thought of NAS enclosures, but everything I read about them indicates either they are a Windows world product or fall on and off the network. You've come to the right guy. I've been using external FireWire enclosures since 2001, when I reviewed the Flex-HDD 3.5" FireWire/USB Enclosure (which ended up failing within a year if I recall). I've used big, ugly, not so quiet, beige 2-drive enclosures and compact, quiet, aluminum Triumph Venus enclosures that pretty darn hot with 7200 rpm drives. The best enclosures I've ever used have been the NewerTech miniStack series. The miniStack is 6.5" square and looks a lot like the Mac mini, but only 1.5" thick. It has a good heat sink on the bottom, so it doesn't overheat with 7200 rpm drive, but the feature I like best is the built-in hubs - 3 USB 2.0 ports and 2 FireWire 400 ports. I have at least four of them, mostly the 2nd version (with a FireWire 400 and USB 2.0 port on the side). I like to use them as external boot drives for iMacs and eMacs because it's a pain to swap out the internal drives. And FireWire is fast. You can boot using either USB 2.0 or FireWire 400 (selected by a switch). FireWire is faster, and most Mac users have more free FireWire ports than USB ports. It's not a cheap enclosure, but it's a quality enclosure that also gives you built-in USB 2.0 and FireWire hubs and works with any 3.5" IDE hard drive. $80 and worth it. For your SATA drive, look at the miniStack v3, which also provides FireWire 800 and eSATA support for $30 more. Just a quick note to thank you for your continued postings and support for Low End Mac. Although I use my MacBook Pro every day at the office, I have a "mirror-door" G4 at home for my family email and web browsing. Although my old Quadra 800 was traded off years ago . . . my first Mac . . . my little Color Classic is my baby. I bought this little jewel directly from Apple in 1993 (back when they published their glossy print "Apple Catalog"). I also got the black bag to carry it in with the lager white "Apple" logo on the side. We lived in Chicago at the time, and it has served me well (with FileMaker Pro 2.1) over the years. Anyway, we moved to North Carolina about two years ago, and my Color Classic was in the bag in the basement . . . dormant for two years. On Sunday night I found it and brought it upstairs. I would not boot up from the hard disk, only from the original System 7 "Disk Tools" floppy. My son (17 years old) and my daughter (15 years old) were very sad. They wanted to see their old favorite (Kid Pix) one more time. They spent many night in front of this little screen with that old program. I have photos of my daughter at this Color Classic drawing on Kid Pix when she was only 3 years old. So I looked though your site and found an article link about removing a "dead" drive and freezing it to get it to work. I am a design engineer (U of M/Dearborn C.O.E. class of 1978) and this made sense. The disk drive is made from cast aluminum and possibly the spindle, bearings, etc. would be "freed" by the thermal dynamics. Brilliant! Last night my son and daughter were glued to that little 9 inch screen again . . . just like old times. The old System 7 "quack" sound filled the kitchen! They were laughing . . . both trying to get that old "one-button-mouse" to scroll with their imaginary (yet nonexistent) thumb wheel. Man those were the best of times! Oh yeah . . . Go Blue!! Thanks for writing. I don't even remember publishing an article about literally freezing a hard drive - usually it's a bad thing when a hard drive freezes. Glad you were able to resurrect the Color Classic and bring back old times. One thing you must be very careful about - leave the cover open all the time if you can. If you must open and close it, be very gentle when you do so. The hinges on the cover are extremely fragile. My machine used to stay open all the time, but I took a job that had me opening and closing it every day, and after about three months one hinge snapped. The other one never broke, but by all accounts, it would have soon enough - it was a very common problem. Yeah, the hinges were one of two common hardware failings on the WallStreet, the power plug being the other one. Other than that, very solid, reliable, robust machines. I recently installed Mac OS X Leopard on my Power Mac G4 "Digital Audio" model, with a single 466 MHz PowerPC G4 processor, 512 MB RAM, and a flashed PC GeForce 3 Ti 200 with 64 MB VRAM (Quartz Extreme compatible). The system has a DVD drive and a 80 GB hard drive. I used LeopardAssist 1.2 to be able to install the system from the Leopard DVD. Installation went fairly quickly, everything seemed okay. After boot up, I found that the 3D Dock was too slow, and I replaced it with the 2D Dock. VLC, DVD Player, Front Row, the Time Machine Interface - it all worked, although I must say that DVD Player is more resource demanding now then it used to be in Tiger. But I must say I'm quite happy with Leopard, and I'll continue to use it.